Affluent Homeowners - AIG | Special Feature | Home Business Insurance - RLI | Webinars | TRIVIA! Despite Subtropical Storm Alberto arriving ahead of this year's Hurricane Season (June 1 - November 30) it is expected to be about average, maybe a little above average. Unlike the very warm waters of last year, the waters where hurricanes form and develop are cooler which will provide less of the energy they need. The National Oceanic and Atmospheric Administration (NOAA) gives a 70% chance of 10-16 named storms (sustained winds 39+ mph) with 5-9 becoming hurricanes (74+ mph) and 1-4 of those becoming major hurricanes (Cat 3, 4, or 5 - 111+ mph). An average season produces 12 named storms, six hurricanes and three major hurricanes. By contrast 2017 produced 17 named storms, 10 hurricanes and SIX major hurricanes including two (Irma & Maria) at Cat 5. Cat 5 hurricanes normally occur once every three years. Additionally all 10 hurricanes occurred in a row, meaning at least two were active at the same time from the first to the last. 2017 had a damage total of at least $282.16 billion. How active the season will be is no predictor of whether one will hit the U.S. Some active seasons have no landfall in the U.S., while 1992 had only four hurricanes but that included Hurricane Andrew which shredded southern Florida while causing over $27 billion in damage. Northern and midwestern states might think themselves safe from hurricanes but in 1954 Hurricane Hazel hit Toronto just barely under a Cat 1. On the other hand here are a few East Coast areas that haven't been hit since at least the 1960's going back to 1878. There's really no telling where a hurricane will hit, so it helps to be prepared. 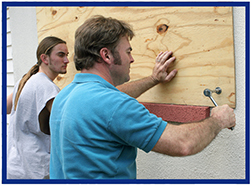 AIG's Hurricane Protection Unit has developed a comprehensive checklist for preparing for a hurricane, starting with general items such as checking the caulk around windows and doors to having the roof double-checked if you have any work done on it. It covers what to do as a hurricane is threatening, such as moving items to the center of rooms and elevating them against pooling water, and putting important documents into airtight plastic containers. Finally it addresses what to do afterwards, such as run the AC to help dry out the house faster. AIG's Private Client Group homeowners coverage is available for dwelling replacement cost coverage valued at $500k or more in most states. Jewelry, fine art, collections, as part of a package acct. High symbol, high performance vehicles with acceptable driving records as part of a package acct. Collector car accounts as part of a package acct. AIG's Private Client Program is available to registered Big "I" Markets agents in all states. Blow on over to Big "I" Markets and click on Affluent Program - New Business to learn more! The Big I Advantage® Virtual Risk Consultant (VRC), powered by Rough Notes, is a trusted insurance knowledge base platform available exclusively to Big "I" members. 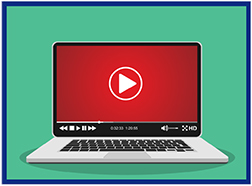 We have recently developed eight new training videos to help you get up and running with VRC. VRC helps you quickly get the information you need to understand your customers' operations and exposures while identifying appropriate coverages. As a Big "I" member, you enjoy exclusive member pricing which represents an extraordinary value. Annual plans start at just $250/year per agency for up to 15 users. Similar products in the marketplace sell for thousands per year. Learn more at www.independentagent.com/VRC or click here to register. No, we're not referring to Fido! These are just a few of the terms used to describe the techniques used in the art of DJing. DJs, or disc jockeys, are artists and musicians in their own right, manipulating music to create new and exciting beats for people's listening pleasure. DJing has evolved over the decades. Jazz was the music of choice at the first-known DJ dance party in 1943, followed by hip hop and disco in the 70s and synth-pop music in the 80s. Today, DJs are mixing and creating new genres of electronic dance music, or EDM. DJ equipment has progressed over time as well. In the 1950s, two turntables may have been used to backspin the vinyl; however, today's DJs have the ability to use software and digital equipment such as MP3s, laptops, mixers and PA (public address) systems. DJs and wedding receptions "mix" together well. In fact, one wedding survey showed that more than 81 percent of guests say what they remember most about a wedding is the reception entertainment. Wedding DJs can create unforgettable events with the reception entertainment they provide, not to mention their emcee abilities, personality and performance talents. They keep the atmosphere lively and the dancing continuous. So don't wait - get the party started! Keep your DJ spinning, scratching and digging when you purchase business personal property and liability coverage provided by RLI Home Business Insurance. Rates have been lowered in most states! Check out the rates in your state. 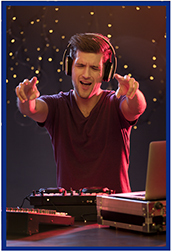 Be the booking agent for your DJ with an RLI Home Business Insurance policy. RLI is a specialty insurance company serving niche or underserved markets. RLI's proven, superior underwriting model creates flexibility to write unique coverages in a wide array of diverse industries. RLI streamlines processes, eliminates red tape and puts decision-making in the hands of its expert underwriters, giving them the resources and freedom to drive growth so producers can quickly and easily get customers the coverages they need. In case you missed Caliper's live webinar on How to Hire Successful People Into a Dysfunctional Team, you can view it on demand now. Below, you will find links to the recording and PowerPoint slides. Also, be sure to check out Caliper's Certification Program so that you can further leverage your expertise as a talent management resource in this area and obtain valuable credentials! If you have any other questions about the presentation or would like Caliper to help you ensure new hire and team success, visit: www.calipercorp.com/iiaba. 1. Hurricane Andrew was the most destructive hurricane to hit Florida until Hurricane _________ 25 years later? 2. On this date in 1979 Bryan Allen was the first to fly what type of craft over the English Channel? 3. Real name Robert Weston Smith, he epitomized the 1950s disc jockey, particularly with a cameo appearance in the film, American Graffiti. Who is he? TB - On June 5th, Gabby Dimarco caught a foul ball in an unusual way at a Braves/Padres game in San Diego. With what did she catch the ball? Congratulations to our agent in Congratulations to our agent in Pennsylvania on a Small Commercial sale of $12,856 in premium!